This quintessential East Village duplex has been thoughtfully and impeccably furnished for the most discerning guest. 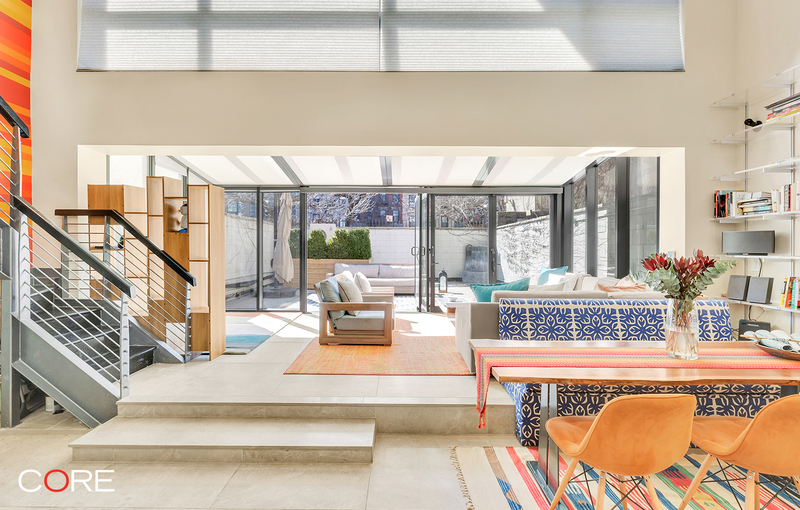 Designed to perfection with a bohemian twist, this home boasts nearly 1,800 square feet of interior space that flows seamlessly into the well-appointed, south facing private garden oasis. On the main level, the kitchen - built for a chef - offers an abundance of storage space, under cabinet lighting and top-of-the-line stainless steel appliances. The living and dining area feature 19-foot ceilings that flow into a solarium with floor-to-ceiling glass sliding doors allowing for a fluid transition from indoor to outdoor living. 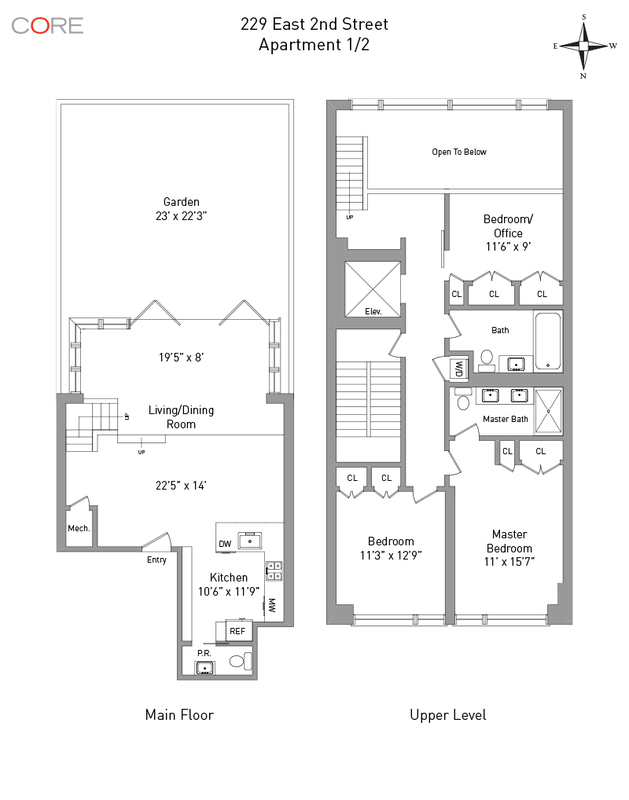 The upper level, accessible by the custom staircase or private elevator access is home to the three bedrooms and two bathrooms all with ample closet space and brand new linens. Additional features include a Bosch washer/dryer, an integrated Sonos speaker system, and an energy efficient HVAC system operated by Nest.